Have ever been curious about acupuncture, how does it work, is it reliable, can it cure you? It seems that nowadays, acupuncture is popping up everywhere. Celebrities are fond of it, people are taking an interest in acupuncture, but traditional medicine is still debating its influence. Regardless of its sudden popularity, there are a lot of facts yet to discover. 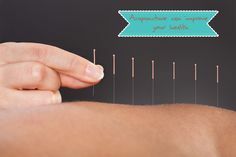 If you are one of those people who is thinking of scheduling an appointment with an acupuncturist, here are the five things you need to be aware of to have a proper treatment. When they see needles, people connect acupuncture with pain, but the truth is a total opposite of that. 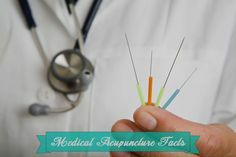 Acupuncture needles come in various sizes and lengths, some of them can be thin like hair, and they are highly flexible. When a professional inserts the needle into an acupuncture point, you will sense a feeling of heaviness, but not pain. Anxiety is a common experience for most of the people who never tried acupuncture before. Every professional acupuncturist has diversity in needle sizes, in this case, he will be more than happy to use the thinnest ones on your request. The acupuncture won’t only help you with different types of paint; its purpose is diverse. Many people use it for back pain, headache, neck pain, shoulder pain, but for insomnia, stress, allergies, asthma and many other conditions as well. Before you schedule any appointment, ask around to see if your acupuncturist is practicing your condition. In most cases, acupuncturists are professionals who have an experience in wide range of treatments. Acupuncture is not a one-time deal; you will have to repeat it from time to time, depending on your condition. If the medical condition has been troubling you for an extended period, it will take more than one visit to an acupuncturist to heal that. If you decide to use acupuncture as your cure, you need to stay committed to it, make sure to have weekly appointments. Otherwise, you won’t see desired results. On the other hand, if you don’t notice an improvement after ten treatments, you may think of changing your acupuncturist. Like any treatment, even acupuncture has side effects, but compare to others; its side effects are very beneficial. When people start with acupuncture, they start experiencing a lot of benefits, such as good night sleep, more energy, less stress, better digestion and mental clarity. In some way acupuncture, can change your life and for the better. An average price for acupuncture treatment goes between $60 – $200. This price might reject some people from trying it. In the recent years, some insurance companies have added acupuncture to their packages. From 2014, some states have included acupuncture in their essential health care. Which means your costs might be covered when you visit an acupuncturist. For people with a lower budget, they can try community clinics; they charge between $15 – $50 per treatment.